Publisher’s Summary: Louisa Clark arrives in New York ready to start a new life, confident that she can embrace this new adventure and keep her relationship with Ambulance Sam alive across several thousand miles. She steps into the world of the superrich, working for Leonard Gopnik and his much younger second wife, Agnes. Lou is determined to get the most out of the experience and throws herself into her new job and New York life. As she begins to mix in New York high society, Lou meets Joshua Ryan, a man who brings with him a whisper of her past. Before long, Lou finds herself torn between Fifth Avenue where she works and the treasure-filled vintage clothing store where she actually feels at home. And when matters come to a head, she has to ask herself: Who is Louisa Clark? And how do you find the courage to follow your heart—wherever that may lead? My Thoughts: I love this character. My heart broke for her in Me Before You and I cheered for her to find happiness in After Me. So I was excited to see what was next for Lou as she embarked on the next stage of her life’s adventures. We first met Lou when she figured life was about as good as it was ever going to get, a boyfriend who picked out his own presents because she couldn't get it right and carried more about running marathons than he did about her, a sister she didn't really get along with, parents who loved her but..., and a dead end job. But life has changed for Lou and she's no longer to just take life as it's handed to her. But, as exciting as it is to be around Fifth Avenue and as much as her new employer insists that they are friends, Lou soon finds that life among the super rich can be stifling and tricky to maneuver. Also, long-distance relationships are incredibly tough. It's not until she finds herself without a job, without a home, and without a boyfriend, that Lou really starts to find her own strength and find the true Louisa Clark. She still has that spark that we've always seen (and her own personal clothing style) but she's grown as a person and learning to step out of the shadows of other people. Make no mistake about it, I really enjoyed this book and finding out where life was going to take Louisa. But...(yep, there is is again, that ugly word). There's a lot going on here. Not one but two romances for Louisa. Not one but three jobs. So many characters, and so many that are stereotypes. 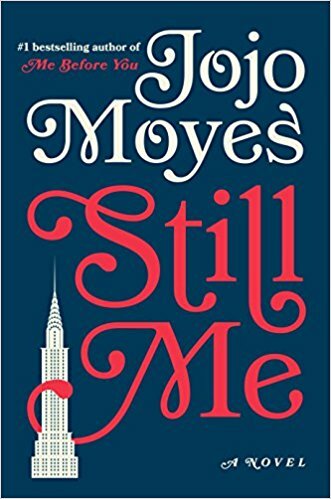 I understand that Moyes wanted to show Louisa a New York City away from the rich and famous and she needed to find a way for Louisa to find her own path using what she knows. I can't say I know a better way to get to those places and I did enjoy many of the characters she met along the way because of those choices. But those are all added to the characters readers of the other books will want to catch up with as well and they all have their own story lines going along. I have this on my shelves and have been meaning to get to it. I enjoyed reading your thoughts. 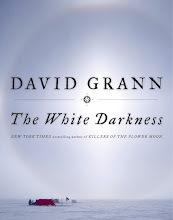 I really enjoyed the first one as well but not enough to keep going with the story. Looks like I don't necessarily need to! Grateful for your reviews of these sequels. I was surprised by how much I enjoyed Me Before You but I kind of chickened out from reading the next book. I'm glad you enjoyed it and I'm kind of predictable. I like Lou and I so want her to land on her feet. If it had gone any other way I'd have been so disappointed! Thanks for the review. I enjoyed Me Before You, but After Me not so much. Maybe it wasn't the right time to read it? Nevertheless I'll put Still Me on my book list. It sounds as if Louisa's character is continuing to develop and the new setting should be interesting.